We’re really excited about our first Masterclass! 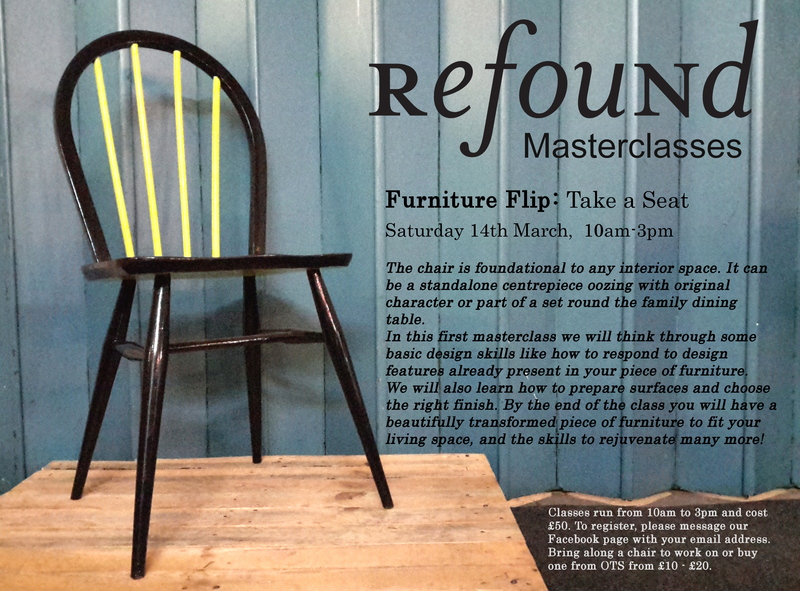 In this class we will be learning how to approach the humble chair with a design minds. Chairs can have such varied, interesting features; spindles and cut-outs, elegant legs or industrial tubing. So rather than just slap on some chalk paint, we’ll be thinking about how to respond to these features and where on earth to get that perfect colour palette from. 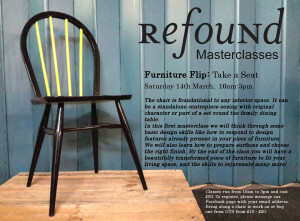 These Masterclasses aren’t your average upcycling classes! So get on board by messaging us with your email address and dig out that old chair you’ve always wanted to rejuvenate. Masterclasses are £50 and include materials and tools. Furniture can also be bought from OTS from just £10-£20.